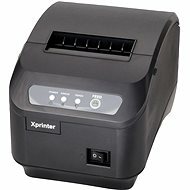 It also boasts of other great characteristics - first POS printer was awarded the Energy Star. 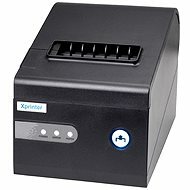 It provides a highly economical and fast printing - 300 mm/s It offers the ability to print on 58 mm and 80 mm disc, which saves paper. Prints in 16 shades of gray on a plain thermal paper. The computer is connected via USB or parallel port interface. 58 mm cash register roll, 80 mm cash register roll Done! 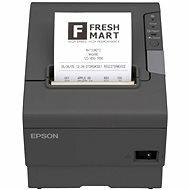 For shipping to other EU countries visit this page Epson TM-T88V black. Chcete doručit zboží do Česka? 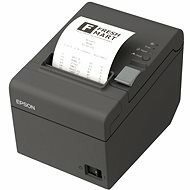 Prohlédněte si Epson TM-T88V černá. Chcete doručiť tovar na Slovensko? 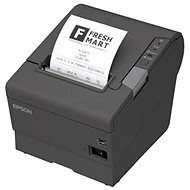 Prezrite si Epson TM-T88V čierna. Für Versand nach Österreich, besuchen Sie bitte Epson TM-T88V schwarz. Magyarországra történő kiszállításért tekintse meg ezt a termékoldalt: Epson TM-T88V fekete.